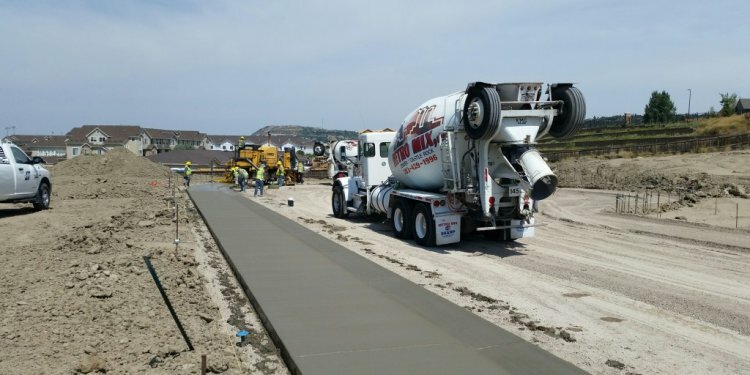 Folino is proud to have blazed a new trail by being the first contractor in North America to utilize the Wirtgen AutoPilot stringless paving system. Our SP 15 curb-and-gutter machine equipped with AutoPilot ensures the highest precision and optimum efficiency in concrete slipform paving, regardless of whether we are pouring straight profiles or highly complex curved paths. The innovative AutoPilot system eliminates the need to install and remove stringline on the job, giving Folino a distinct competitive edge, as it bypasses the need to establish a digital terrain mode. That’s because programming is completed by using a “Field Rover” pole to capture coordinates or by simply using the jobsite plans. This means a surveyor is not required. For course control, two machine-mounted GPS receivers communicate with an additional GPS reference station positioned on-site. For precise grade control, a laser, ultrasonic sensor, or total station is used. The AutoPilot system streamlines the paving process by saving valuable time, which is great news to contractors looking to improve their bottom lines. With the ability to do precision stakeless and stringless curb work­—and the ability to control the scheduling of this process—Folino can be counted on to bring maximum efficiency to the job.